NBC is indulging their inner-conspiracy series nerd with the new midseason series, CRISIS. 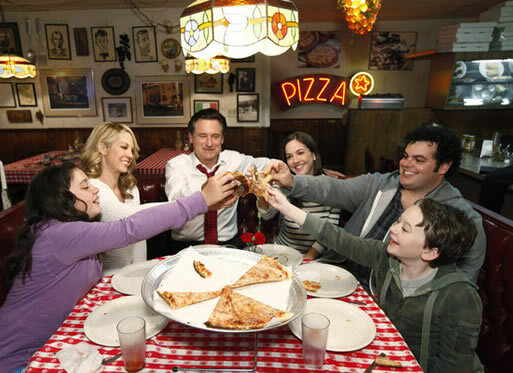 Now it’s official: Fox has picked up four new dramas for the 2013-2014 season. Making the cut is SLEEPY HOLLOW, a modern day retelling of the classic tale; ALMOST HUMAN, a futuristic “buddy cop” drama where cops are paired up with human-like androids (and whose creator, J.H. Wyman, tipped its pickup earlier tonight); RAKE, a lgal drama starring Greg Kinnear; and GANG RELATED, which follows the LA-based Gang Task Force. We’ll have more details for you about the new shows in the coming days (expect trailers and photos after Fox’s Upfronts presentation on Monday), but in the meantime, which show has you most excited? The Gilchrists are just the average American family dealing with all the everyday issues – like a grown kid who’s forced to move back home, children who are smarter than their teachers and a stepmom (Jenna Elfman, “Dharma and Greg”) desperately trying to win over the kids. They’re loving, fun and a little crazy. In other words, just like everybody else. With one exception: they live in a very special house. The White House! Whether it’s entertaining foreign dignitaries, sneaking away for a night out, dealing with middle school crushes or putting out fires – figuratively and sometimes literally – there’s never a dull moment in the Gilchrist White House. For example, the First Son (Josh Gad, star of Broadway sensation “The Book of Mormon”) is one of the administration’s biggest liabilities, but also the glue that holds this family together. The President (Bill Pullman, “Independence Day,” “While You Were Sleeping”) knows too well that the only thing harder than being Head of State is being head of the family. Also starring are Martha MacIsaac (“Superbad”), Andre Holland (“Friends with Benefits”), Amara Miller (“The Descendants”) and Benjamin Stockham (“Sons of Tucson”). 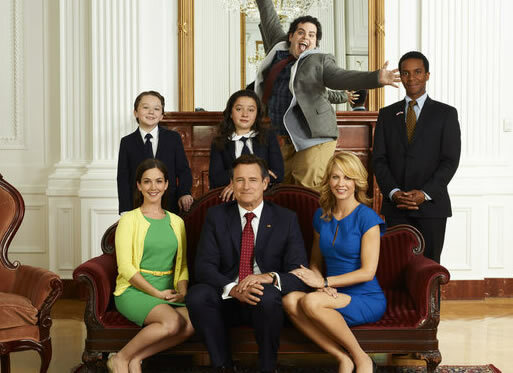 “Modern Family” meets “The West Wing” in this election-year comedy from Emmy-winning executive producer/director Jason Winer (“Modern Family”). The executive producers are Winer, Gad and Jon Lovett (former White House speechwriter). Winer also directed the pilot. “1600 Penn” is produced by 20th Century Fox.